Most people know how important it is to have regular service maintenance and replace the filter on the HVAC during the summer months, but it’s essential during the winter months, as well. Owning a pet, living on a dusty road, using a fireplace or having other extenuating circumstances will also increase the frequency with which the filter needs to be changed in winter. During the summer, the HVAC creates condensation which is removed by the condensate pump. But, even during the winter, the pump line can become clogged by algae and create a backup. Failure to change the filter makes the unit have to work harder. This extra effort shortens the lifespan of your HVAC. Considering the cost of a new HVAC is substantial, it makes sense to protect your investment by changing that filter. 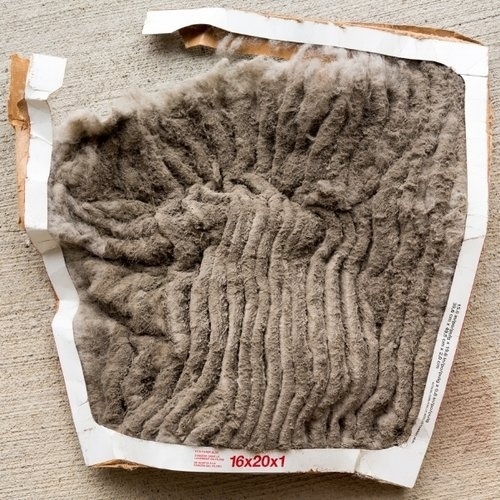 Not changing your filter can also make the entire system--from blower to coils to ductwork-- dirty. It’s even worse if you don’t have a filter: if you want an example of how that might look, the return grill will give you a clue. Ew! Also, if the unit has to work harder, it will cost more for the electricity. Many electric companies have a kind of complicated tiered-pay system, which means the more juice you use after a certain amount, the more you pay in the price per kilowatt unit. Since your HVAC is a big energy user, not only might it cost you extra money, but it may also tip you over into a higher user bracket, which means some of the power you need will be at a higher rate, and not just for the HVAC. Air quality is filter-dependent, so having a dirty air filter means you and your family have to breathe dirtier air. Again, this is especially true if you have pets, and especially troublesome if you have elderly, young, or infirm people who live in your home since these groups struggle more with air quality issues than a robust and healthy adult. There are a variety of filters available, depending on your HVAC unit. Many people prefer to purchase a reusable filter, as it can be cleaned and used again and again. It’s essential for the filter to be dry before it’s returned to the filter slot. There are also special allergen filters available for some models. While an HVAC filter doesn’t have to be changed as often in the winter months as it does in the summer, it’s imperative not to neglect it during the winter months. Your HVAC will last longer, the air quality will be better, and it will use less electricity.